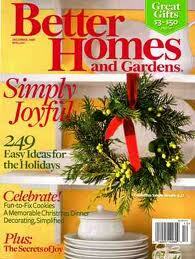 Purex is giving away 20,000 FREE one-year subscriptions to Better Homes and Gardens magazine! Head over here and enter to win before December 20th. The 20,000 winners will be picked randomly. Good luck! And let me know if you are one of the winners!